Japanese author Marie Kondo dives into some of the most cluttered homes in America to help organize the living and work spaces that have become uninhabitable. Unlike similar shows about the uniquely American problem of having too much stuff like “Hoarders,” Kondo has a specific strategy for becoming – and remaining – decluttered. Kondo instructs everyone to pick up each item individually. Then they simply must decide if that item brings them joy or not. If it doesn’t, it’s gone. And while watching people contemplate their happiness level when holding a polo shirt is humorous to watch for a moment, the principles behind her methods stick around long after the messes are cleaned up and the clothes are donated. At a time when things seem hectic, it’s refreshing to see Kondo care so deeply and genuinely for others all while being consistently cheerful. And who knows? You might just be inspired to nally throw away those old Amazon boxes that have been piling up. 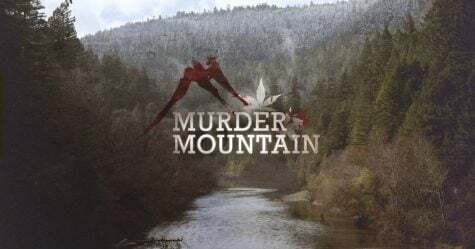 In Netflix’s newest true crime endeavor, venture to the mountains of Humboldt County, California – the illegal cannabis growing capital of the United States. Aside from the inherent risk of dealing with black market marijuana, the area also leads the country in missing persons cases. of 29-year-old Garret Rodriguez.The following investigation threatens to unravel the secluded, close-knit community of outlaws and vigilantes that have populated the mountain for years. As marijuana takes a front seat in the national conversation, the darker underbelly of the market that has persevered for decades comes to light in Netflix’s latest deep-dive into some of America’s least known, but most interesting, criminals.